You must make reservations at least 5 minutes in advance of the time at Rappahannock - Richmond. In addition to street parking, Rappahannock has many nearby parking lots, such as 4th & Broad and 4th & Main. Rappahannock is an arm of Rappahannock Oyster Co (www.rroysters.com), which provides mobile raw bars and seafood small plates for weddings, parties and other functions. Upscale, yet casual seafood restaurant nestled in the historic Grace St. corridor of downtown Richmond, serving up seasonal dishes, craft beers, diverse wine, signature cocktails, and an enormous raw bar focusing on our very own oyster farms (ie, Rappahannock Oyster Co.). 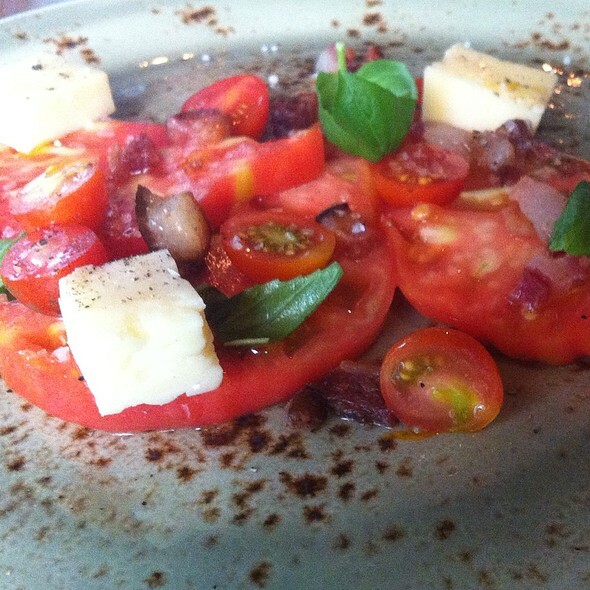 Rappahannock has assembled incredible talent to revolutionize the concept of farm to table. Enjoy happy hour priced oysters, all night long! 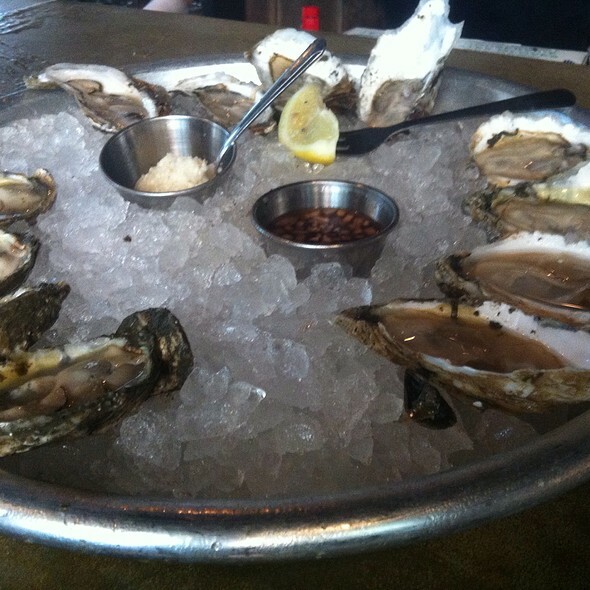 Happy Hour 3-6 Sunday to Thursday -- 1/2 off oysters and drink specials! Enjoy 1/2 priced oysters, drink specials, & Prosecco on draft! We will be opening at noon with our full dinner menu! 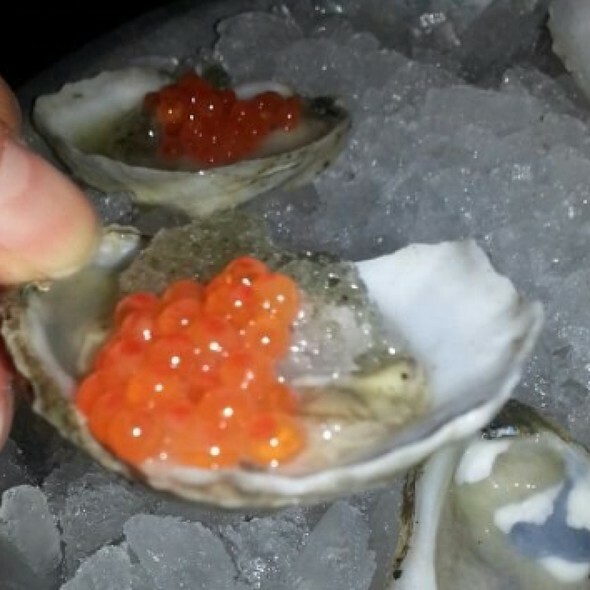 Join us for champagne and oyster specials! Never been before. Took my wife for her birthday. Food was great. Wish there was a little bit bigger portions for the price. Great overall. The food and our primary server were both very good but management pushed back several times on the price of a bottle of wine where the advertised vintage was years off what was brought to the table. Eventually they made adjustment but it was VERY difficult getting there. And the manager purportedly holding the decision did not see fit to make it to the table at all. Hi Victor, please look for a private message from us. I had been wanting to try this place for a while. A friend was in town and suggested we go so I made a reservation. We arrived a few minutes early and our table for two was not ready. The super friendly host and hostess asked if we could wait at the bar. The bar was quite busy but we found seats and were given glasses of water immediately. Our drink orders took a few minutes, understandable with the amount of patrons. 20 minutes after the time of our reservation the host came over and said our table was almost ready. We cashed out at the bar. 5 minutes later we were seated. Again, we were given water and menus immediately. The restaurant was super busy but they had adequate staff and two bars running. Our waiter came to our table for drink orders after about 5 minutes. He returned after about 5 minutes, neither of us had difficult drinks, a beer and a vodka tonic. We ordered oyster and caviar appetizers, items the restaurant is known for. I finished my drink in the time it took our waiter to return. He explained the specials knowledgeably and asked if we would like any thing from the raw bar. I reminded him we had already ordered from the raw bar. He then took our entree orders. The six tiny, caviar covered, 16 dollar, oysters arrived in about ten minutes. They were ok. We waited quite a while for our entrees, I had the scallops and my friend ordered the pork chop. When the entrees arrived, they were plated and presented beautifully. I was quite disappointed with the portion of the scallops. 4 scallops with veggie slaw for 30$? The scallops were ok, nothing special. My friend's pork chop was tasty. The final bill was 147$. I don't mind dropping money on a good meal, but in no way was the experience, food, or drinks worth that much money. If you are looking for a fun lunch, or happy hour, this place may suit you. I rarely write bad reviews, but I feel like this place is overrated, as well as overpriced. Our waitress got one order wrong. I got a more expensive main dish than I ordered. It was good, but! One meal was not good, and we were not charged for it. This place was such a pleasant surprise! Looked for a nice place in Richmond that we had not been to, to take our VCU daughter and roommate to dinner. The service was friendly and knowledgeable, the place is open, but decorated nicely, with nice ceramic dishes. We went on Sunday, during happy hour, and had a beautiful selection of oysters on ice (only $1.13 each!). Our waiter was very attentive and knowledgeable of the menu. His description and recommendation for the Burride seafood stew was excellent! It’s a French style recipe and SO tasty — made with citrous and some turmeric. Wonderful! Give it a try! We’ll be back on a future visit to Richmond. Hello- we can't wait to see you next time you're in RVA! Amazing food, great service and the bartenders know what they are doing. This place is on our regular rotation now, everything we had was so good. Can't wait to have you back, Terry! God bless you. I tried the whole fish dinner. The fish tasted good but I didn't like the rice or kale with my meal. My wife liked her meal but said she probably would choose it again. I thought it was overpriced for something I didn't enjoy. This was our first experience as we wanted something different than the usual "national chain" restaurant. I'm not sure we will return. Hi Anthony, I'm sorry you did not enjoy the accouterments to your whole fish; please look for a private message from us. Was excepting more of a variety of seafood. Waitress was polite. Food took awhile to be served. 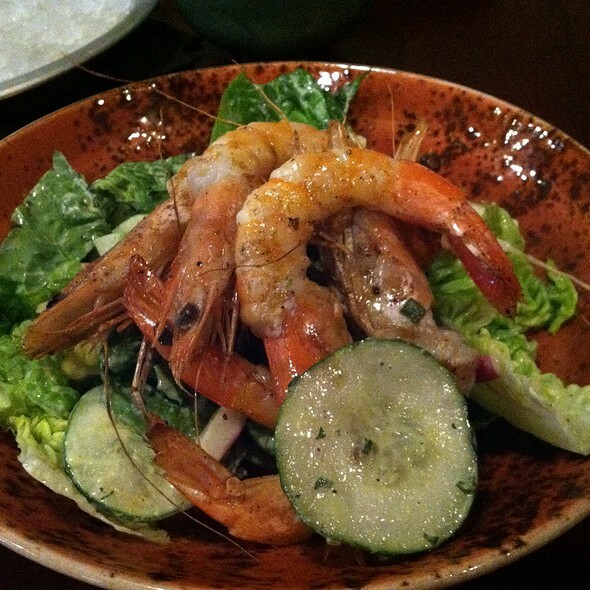 Exceptional seafood and wonderful presentation. Our waiter was attentive, cordial and well informed about the menu items. This is a great restaurant for a special occasion. Hi Joe- thank you for a great review! We hope to see you soon! 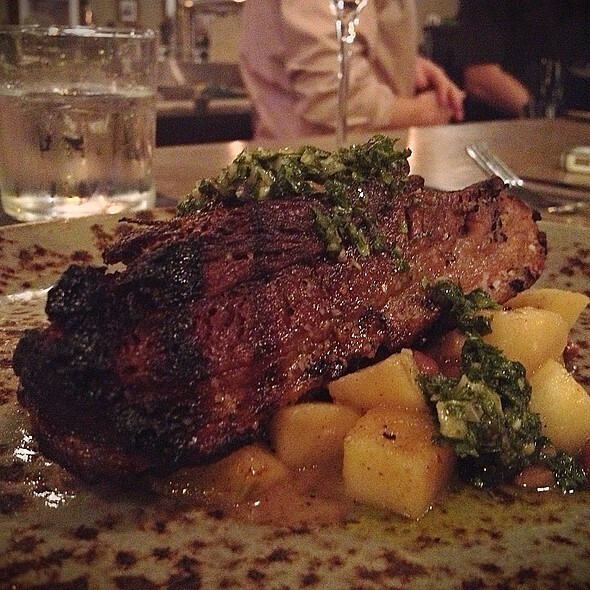 We went for a special occasion and our was fantastic and our server Theron was amazing! Hi Gina, I'm so glad you had such a great evening! We can't wait to have you back soon. This is the second time I've been, and it was every bit as excellent as my first visit on New Years. It's not at all an inexpensive place, but it's worth it. 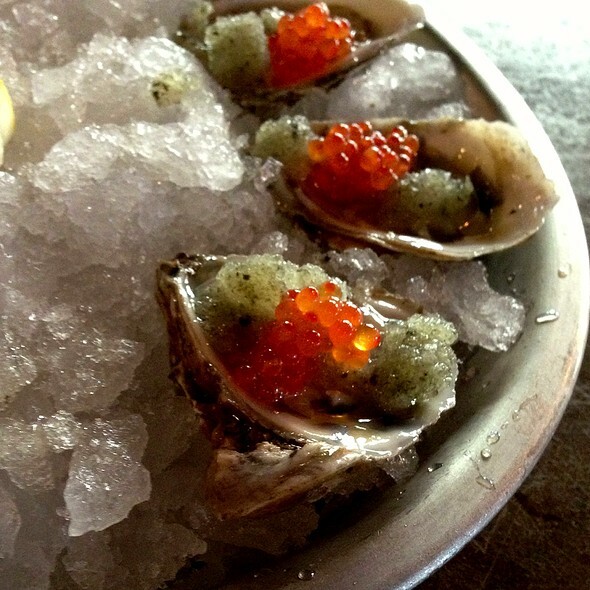 For a leisurely dinner with drinks, oysters and an appetizer plan on $200. 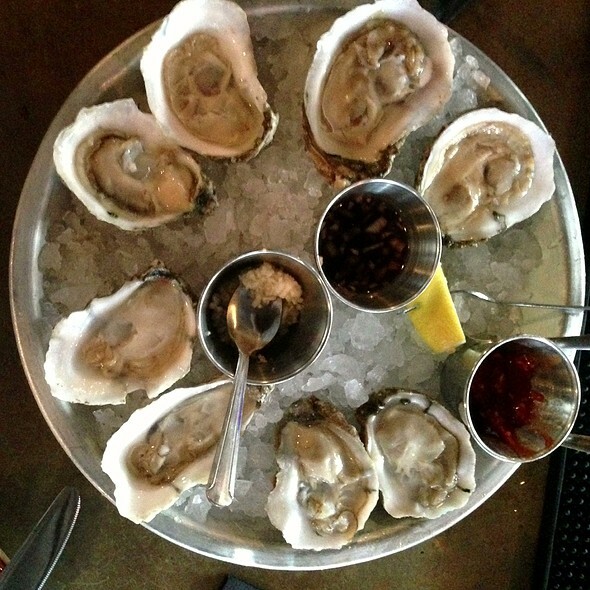 We love the oysters at Rappahannock. The service was 5-stars. The online menu was quite different than what was offered once we arrived. Ada was terrific. We told her that we were on a tight schedule, and she accommodated us wonderfully without rushing us. 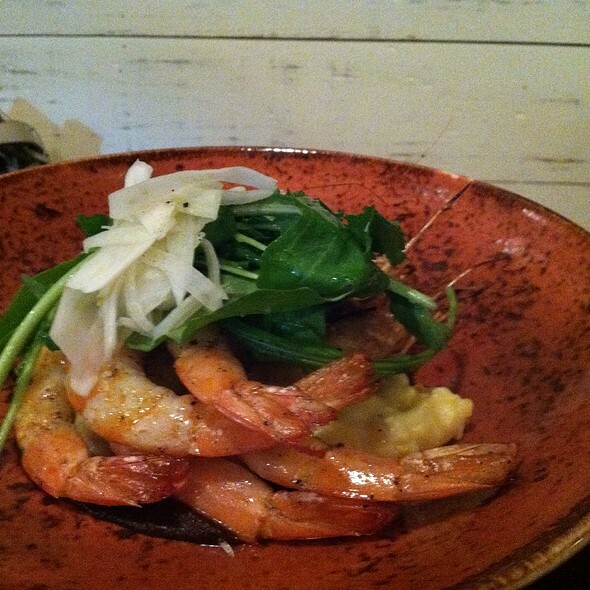 All of our dishes were prepared perfectly, and the taste was amazing. I highly recommend Rappahannock. Hello, I'm so glad you had a great evening and we can't wait to see you soon! My husband and I had been before but took my parents during this visit. Upon arrival our table was not ready at the reservation time so we were stuck standing in the way inside as the bar was full and therefore ended up standing outside instead. After some brief apologizes we were escorted to our table 15 min past the reservation time. Our waiter was very diligent and helpful which helped to make up for the rough introduction to the restaurant. The apps were great (Octopus and oysters)--the entrees were OK--my mother ordered the paella which was delicious until she found a half uncooked shrimp...she didn't want to make a fuss over it and when showing the waiter, he was apologetic, but that was as far as it went. My entree came with grilled bread--which was burned (black) and I had to ask for a new piece, which they gladly provided. In my opinion the entree shouldn't have reached the table in that state. The rest of my entree--bourride (fish stew)-- had some fish, but was mostly broth and sliced potatoes... it didn't warrant the price of the entree. Overall I was really disappointing with the meal--I had wanted to showcase a great local restaurant to my parents for my birthday, and it was a let down. A fantastic evening to celebrate with friends at the Rappahannock Restaurant in Richmond, VA. Each had a different meal selections and our superbly prepared dinners were enjoyed by all. We had a wonderful evening celebrating with dinner at Rappahannock! Every dish, both surf and turf, was incredible and our waitress did an excellent job giving recommendations. The scallops and lamb were probably the stand-outs of the night if we had to choose. Would definitely return for another meal. Thanks for making me feel celebrated on a special day! Upscale yet laid back with 5 star food. What’s not to love. Went with coworkers and we make it a point to go here on our trips. Pretty healthy and the oysters and fish are excellent. Everyone was happy. Great service. The ceviche was excellent as always. Hi Xavier, I'm so glad you had such a great experience! We can't wait to see you soon. The reason why it did not get a overall 5 star is because the food arrived late, perhaps because it was a Monday and not enough staff. Hi Vikram, please look for a private message from us! Excellent, fresh food with a good hip vibe. Can be a little noisy. Oysters were delicious, scallops perfectly good with a zesty Asian slaw and surprisingly good desserts. The food was delicious. The waiter was personable. It is a little more expensive than some restaurants but it’s great for a special occasion. Hello, please look for a private message from us. Our party of four had a wonderful evening at Rappahannock Restaurant. Our waiter was very personable and friendly, and answered questions about the menu, the history, and much more. The food was excellent. This restaurant is a bit pricey, but overall well worth the money. Hi Julie- thank you for the great review! Have tried to go there before so was thrilled to try it. Food was wonderful. I had a beet salad that I could have eaten as a meal. Paella was exceptional as well. Great dining with very attentive staff. Only complaint is chairs were hard! That would not preclude me from returning. This restaurant is known for its oysters -- and they are indeed spectacular. But so is everything else we tried. For seafood, this is THE place to go in Richmond. In addition, the service and overall experience were both fun and polished. Highly recommended. Thank you for the great review! This is the Rappahannock experience we strive for! Can't wait to see you soon. Excellent service. Loved the oysters. I had the beet salad and it was sublime. really great service and food! kind of pricey, but worth it. great oysters and really solid beer selection! would def recommend! It was a very nice experience but much pricier than expected. We felt the food was tasty but not incredible. We shared a beet salad (which was the highlight of our meal), One small plate of baked oysters, four raw oysters and scallop entire. And we each had a glass of Prosecco. With tip we spent well over $100.00. Our server was excellent but Will probably never go back. We were placed close to a fan that was so loud we could barely hear each other. Had we known it, we would have asked for a table as far as possible from this area (if not in the other room which is quieter). This ruined it for me. All around wonderful restaurant every time with wonderful drinks and amazing food! Pro-tip—>Look for Josephine behind the bar for an out of this work outstanding drink! Ask for something off the cocktail list or have her mjx you up a surprise with her genius “dealers choice”. 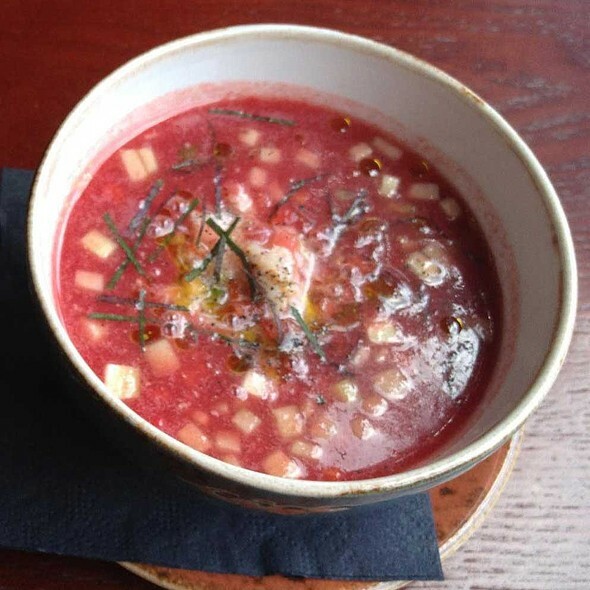 Either way you’ll get a tantalizing concoction you won’t regret! Hello, I am glad you had such a great time! Josephine's dealer's choices are QUITE the experience! we hope to see you soon! Food and service good Unfortunately we were seated near the kitchen, and the low frequency wail of the exhaust fan was a bit too loud. Excellent server very knowledgeable on wine cocktail and food recommendations! The dishes were amazing full of wonderful flavors and very fresh fish. Can’t wait to go back when we are in town again. Thank you for the great review, we cant wait to have you back! We felt from cocktails to entrees, the value was not very good. Prices were quite high for Richmond and while I do not consider size of portion if the quality is there, I would say portions do factor if the quality is not exceptional. Will only get specific with one dish - the wood-grilled octopus on burnt sourdough sauce w/frisee - was TOP NOTCH!! Found the paella as a whole (despite some standout flavors) lacking and disappointing.